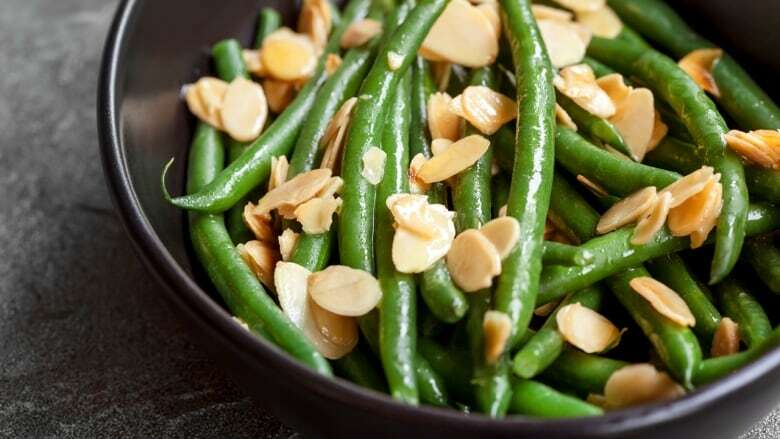 Make your green beans stand out at any meal. This recipe for green beans is anything but bland. With a drizzle of olive oil and some sliced almonds, you won't need to be reminded to eat your veggies. It's super simple to make and is a healthy side to any meal. Blanch the beans in boiling salted water for 30 seconds to 1 minute, depending on how tender you want them. Drain and shock beans in ice water. Right before serving, sauté in a pan with olive oil, salt, pepper and toasted almond slices, enjoy! What to cook in November: Mushrooms, Brussels sprouts, rutabaga — and crabapples!